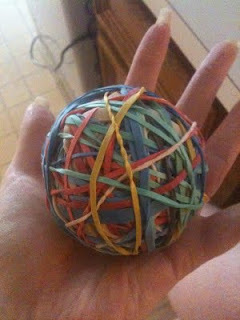 I finally started working on a couple of my 101 in 1001 activities. The first was to start a pointless collection. I decided on shot glasses because there are so many neat ones to collect, they are readily available, cheap and they're pointless because I don't drink! You'll notice in all my videos, its my crazy friends who are providing all the drunk entertainment. I'm the sober one of the bunch! I will occasionally try alcohol, like the moonshine and absinthe (someday), but I am not a drinker. 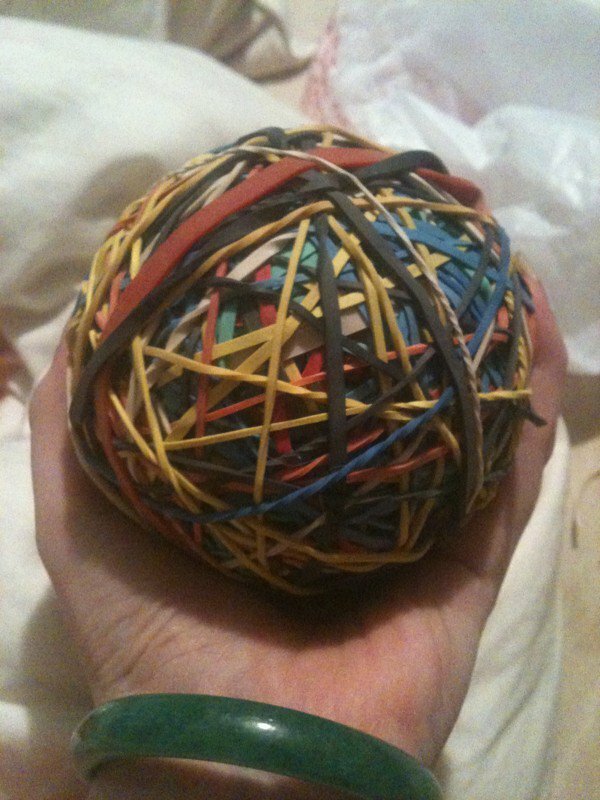 The second thing I started was a rubber band ball. I bought about 5 bags of rubber bands thinking that would last me a week, but it ended up only lasting 2 hours or so. 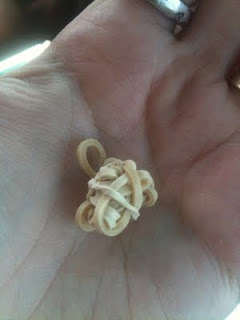 I didn't cheat and use a non-rubber band center. 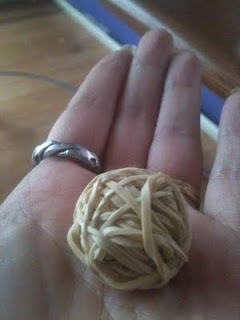 My rubber band ball is pure! Here are some pictures of it so far, but I only started yesterday. I need to get it over 10 lbs in the next 2 1/2 years to check it off my 101 in 1001 list. It's already at almost 3, so I think I can definitely do it! Hi mate! I saw your rubber band ball from your given pictures and these all are looking good at all but one thing I am not understanding that what sort of rubber you have used and also I will suggest that if you make loom bands by using this rubber then that will be better as well. So keep on and make well. một bị mở ra, Đoạn Vân không khỏi nhíu mày. - Ma Thần Vệ. - Đoạn Vân lạnh lùng nói.